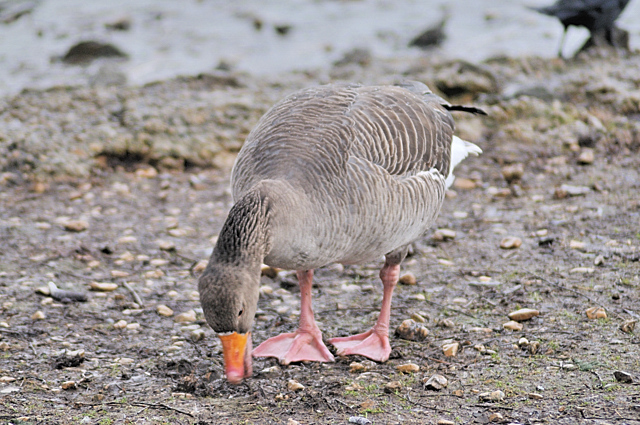 A large goose with a feral population in the UK all year round, however during the winter months numbers are boosted by around 92,000 when migrating birds from other lands visit here for the winter. 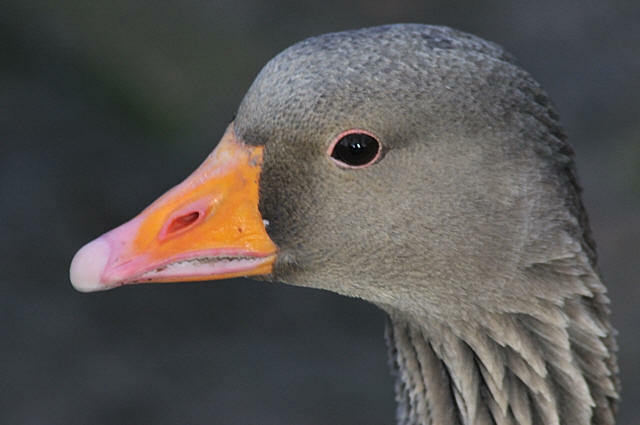 An ancestor of most domestic geese, it is the largest wild geese native to the UK and Europe. It has a large head and almost a triangular bill and those found in the UK the bill will be orange in colour. It has pink legs and makes a large cackling noise. In Britain: All year round in the south, mostly September to March or April when the wild visitors appear in the north. Life Span: Typically 8 years. Habitat: Found around gravel pits, lakes, reedbeds and reservoirs in southern Britain. Breeding habitat is a variety of wetlands including marshes, lakes and damp heather moors. Food: Grass, roots, cereal leaves and spilled grain, both in water and on land. Breeding: First breeding takes place at 3 years old. They lay 5-7 eggs and incubate for around 28 days. The juveniles fledge between 50-60 days. Distribution: Found throughout the Old World. They are migratory moving south or west in winter. It is one of the last to migrate. In the UK around 3,000 wild pairs, 31,000 feral adults with the addition of 92,000 during the winter months. Wild ones are found mostly north of the Solway Firth in such places as the RSPB reserves of Mereshead, Vane Farm, Loch of Strathbeg from September-April. You will also find them in smaller numbers in other places throughout the UK where there are lakes, reservoirs and large bodies of water as well as in some Wetland reserves where captive birds are held. Conservation Status: Globally of least concern. In the UK - Amber Status for an explanation of the RSPB Status - click here.